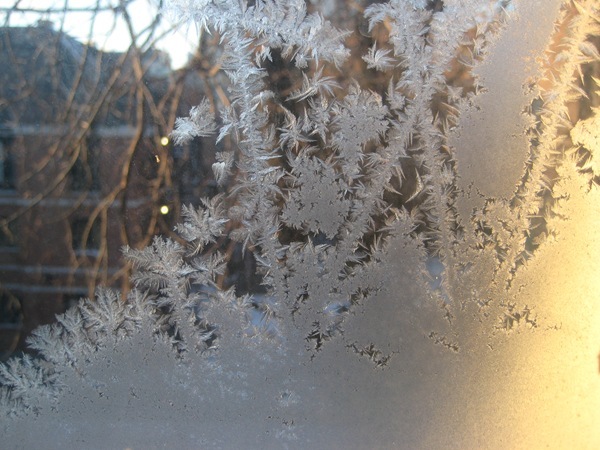 When I woke up this morning, I was pleasantly surprised by some huge nice frost flowers on my bedroom windows. I was not at surprised any more when I looked at the weather channel: –20 degrees, and “feels like” –32! I guess winter is finally here. The only thing that has been odd so far is the lack of snow. We have only gotten around 2-3cm so far this year. Last year around the same time I think we had already seen 80cm or so.